She's so beautiful, and she's growing up so fast. The school photos don't really do her justice, and your iphone photos leave a lot to be desired. 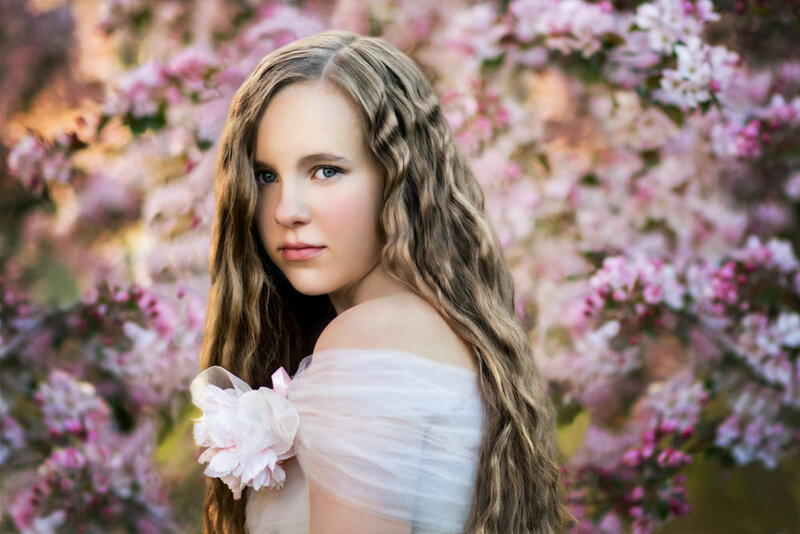 Have Mortensen Photography create a beautiful portrait of your daughter. 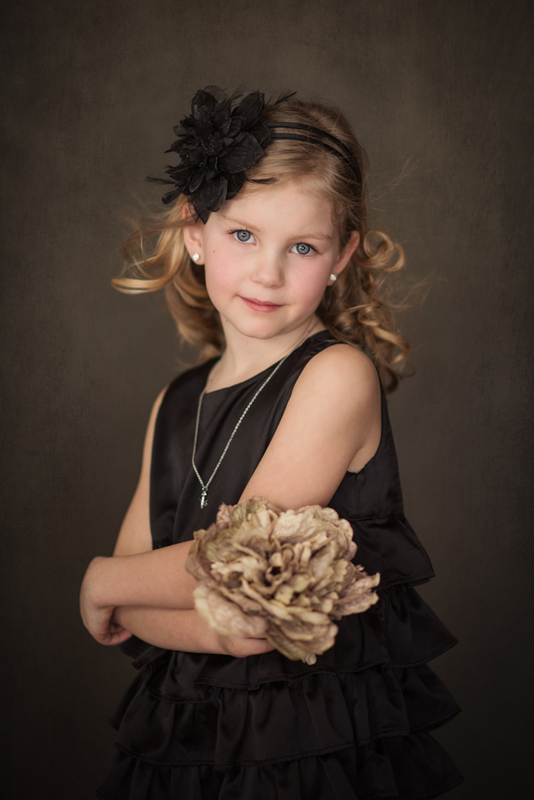 Show your daughter how beautiful she is, and capture her forever with her own special portrait session. Not only will you create a precious keepsake for the future, but you will boost her self image now as she is growing and changing. Every girl should have beautiful portraits of herself as a young lady! Start at age 6, and update them as she grows at age 10, 13, and sweet 16. Start her on the road of creating a personal porfolio of images that she will cherish for the rest of her life. What can you do with all these portraits? A wonderful tradition to start is to create an album or a folio box for your daughter on each of her milestone birthdays. Decorate your daughters room with her portraits in one of our gorgeous boutique frames. Give them as gifts to friends and family. Spend time together creating a scrapbook of her portraits. And if she is old enough to be on social media, she can be proud to share these images with her friends. 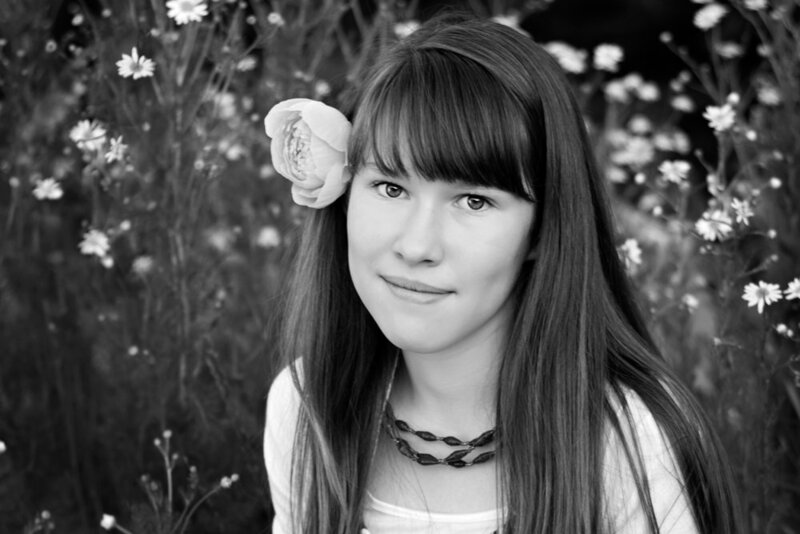 To create your daughter's portraits we will start with a In-Person Planning Appointment. where we will talk about the type of clothing she wants to be photographed in, and the location of her session. Do you want her to have in-studio or on-location portraits? Do she want casual portraits in jeans, or do you want her to have some fun and get dressed up in one of my studio tutus and flower crowns. Or do you want a combination of looks. It's totally up to you and your daughter! You also have the option of using my professional makeup artist and hair stylist, so we will talk about that as well. The day of the Photography Shoot starts with a hair and makeup appointment, if she wants that, followed by the photo shoot itself. The photography shoot takes about 2 hours, and it's a lot of fun! We will have snacks, and there will be girl talk and laughing, and she will feel like a model for the day. Of course you can stay for the session and if you want to we can even do a special mother/daughter portrait of the two of you. During the session I will be directing your daughter through a variety of poses, including some traditional, some fashion, and some fun ones....but don't worry, they are relaxed and natural. My goal is to make your daughter look her very best! This session does not include any prints or digital images. They are purchased separately, so about two weeks after your session we will meet for an In-Person Portrait Reveal and Ordering Appointment. This is when I will show you the very best pictures from your daughter'ssession and when you can choose your favorite images...but that's going to be hard because you are going to love them all! You can get an idea of what's available here. My goal for your daughter's session is to create 20 or more unique images so that you can have a beautiful keepsake folio of the experience. Her portraits are is best displayed in a beatiful folio box or album, but your favorite images can also be used for wall portraits, and gifts for friends and family. Plus all of my collections include a mobile album that makes it super easy for you to share your images with family and friends. I love photographing young ladies and can't wait to photograph your daughter! If you have any questions, or would like to book a consultation give me a call at 403-680-8039, or contact me here. 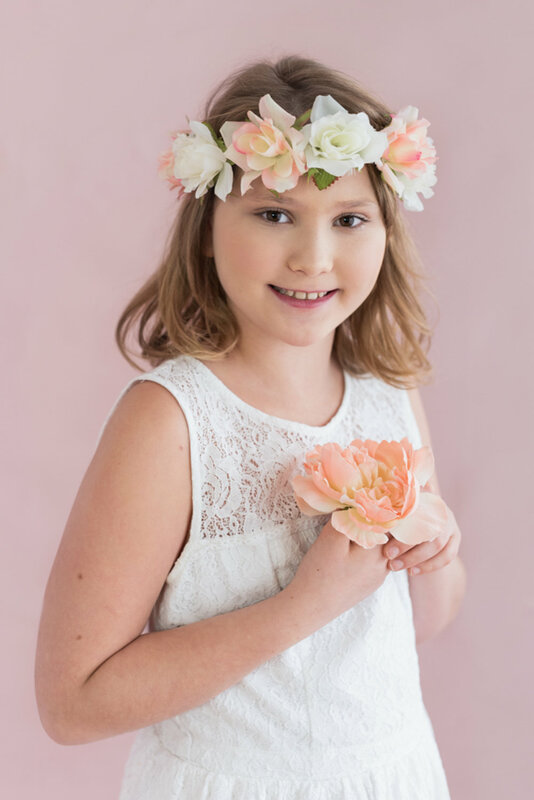 "I was a little nervous at first to have my thirteenth birthday pictures taken but Mrs. Mortensen made me feel so comfortable. I started to relax and began to really enjoy myself. Mrs. Mortensen was so much fun to be with, we laughed a lot! I love the pictures she took of me. They turned out so beautiful. Thank you!" 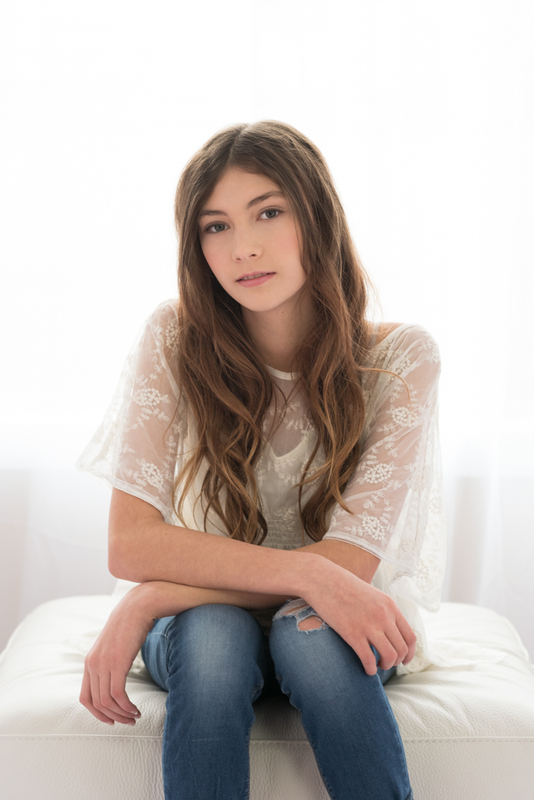 "Thank you so much for taking such beautiful pictures of Emily for her sixteenth birthday. We really appreciate all the time and effort you put into each one. They are way more than we ever dreamed of. Thank you again for everything!"